Why Do People want to Live in Heron Bay Parkland Florida? Heron Bay Golf course. 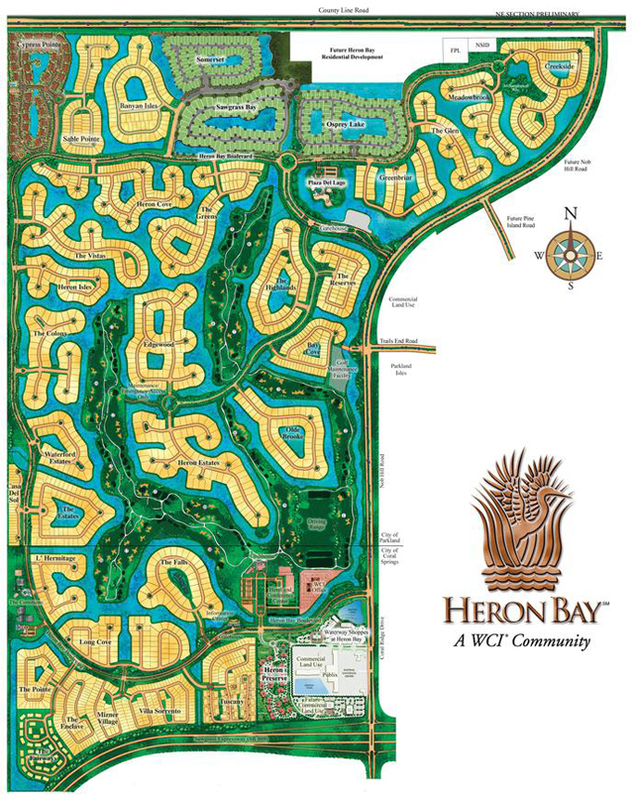 The Heron Bay community sits conveniently between Boca Raton and Coral Springs Florida. It is 20 minutes to the Fort Lauderdale airport and downtown Fort Lauderdale 20-25 minutes to the beach and intercoastal for boating. It’s not uncommon to see neighborhoods with kids playing in the streets of this oasis in the suburbs all year because the weather is fabulous almost all year except for our rainy season which is the summer. It’s far enough from the main hustle and bustle of the city so residents don’t feel like the urban center of Fort Lauderdale or Miami is knocking on their door, yet you minutes from everything. Looking for a home in Heron Bay Parkland Fl.? Interested in finding homes for sale in the Heron Bay Neighborhood of Parkland Florida ? What’s the Neighborhood of Heron Bay Parkland Like? The condo – town home units range from 1500- 2250 sq feet and were built between 2002-2014. The single family homes range from 1800 square feet to 8,000 sq feet. The homes are divided into little neighborhoods or sections each neighborhood with its own size lot so the size of the homes is appropriate to that size lot and the price range as well. These homes began in 1998 and some are still being built today. Many home owners have done extensive renovations as well. Most of the lots are just around 1/4 acre but some are larger, and accommodate larger homes. What’s Going on Nearby the Heron bay Parkland Fl. Neighborhood? Parkland is located on the northwest corner of Broward County, within minutes of the Sawgrass Expressway. Heron Bay enjoys both Coral Springs and Parkland in its boundaries but in general its just north of Coral Springs Florida. There is a major hospital less than 3 miles from the Heron Bay Parkland neighborhood as well as just about every kind of conceivable shopping with in a bike ride away and in some cases in walking distance. There is a 24 hour Walmart’s, a Publix which is the Florida local upscale supermarket, from a pharmacy to a wonderful Star bucks coffee shop. In the evenings you will want to take a stroll down the walking paths or ride your bike with your kids and enjoy the amazing sunsets. The Magnolia theater is around a 4 minute drive. There is a WMCA with local ball field with in minutes of Heron Bay. Find out about everything that is nearby to Heron Bay Parkland Fl including places of worship, banking, shopping, Attractions and recreation and much more on my website. the city of Parkland is a small city and everything is with in minutes. What Schools will the Kids Attend in Heron Bay Parkland Florida? If you buy a home for sale in the Heron bay Parkland Florida community the local schools serving this area are Hero n Heights, West Glades Middle & Stoneman Douglas high. If you are interested in the current homes for sale in Heron Bay Neighborhood of Parkland Florida click on the link. Our ‘search for homes” information this is a direct feed from the Florida MLS and is updated multiple times per day. Heron Bay Parkland Florida is a marvelous gated community to not only raise your children but give older adults a quiet safe environment to enjoy life.